St Anthony’s Parish in Clovelly has recently received six stunning stained-glass windows made in Poland to mark the centenary of the parish. 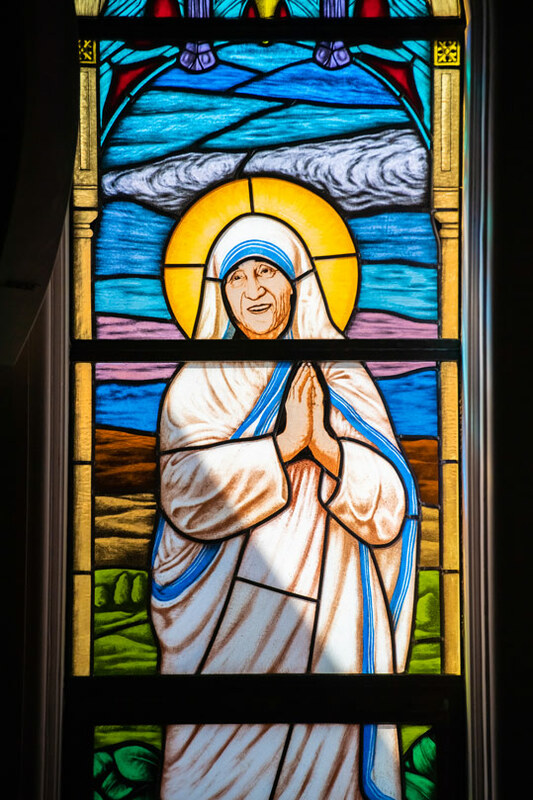 Each of the windows was funded by families or individuals within the parish, and depicts a particular saint or devotion significant to the parish in some way. The windows were installed in the church three weeks ago after being shipped to Sydney by sea. Over a period of six months the windows were designed and manufactured in Radom, Poland, by artists Mrs Marta Wdowska-Palus, Mr Remigiusz Palus and Mr Dominik Wdowski. “We work with traditional stained-glass technology, known since the Middle Ages,” said Mrs Wdowska-Palus. Mrs Wdowska-Palus travelled to Sydney for the installation of the windows which was undertaken by local artist, Jacek Luszczyk. Parish Priest, Fr Pawel Kopczynski CSMA, told The Catholic Weekly that the windows are a vast improvement on the plain yellow windows they have replaced in St Anthony’s church. 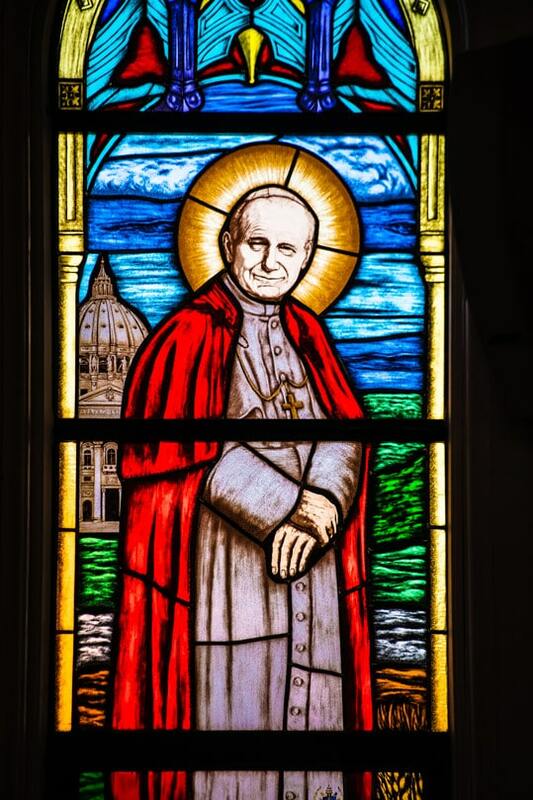 “For me, stained-glass windows are a beautiful way of transmitting light, and they remind me of us humans, who transmit the love of God into the world,” he added. 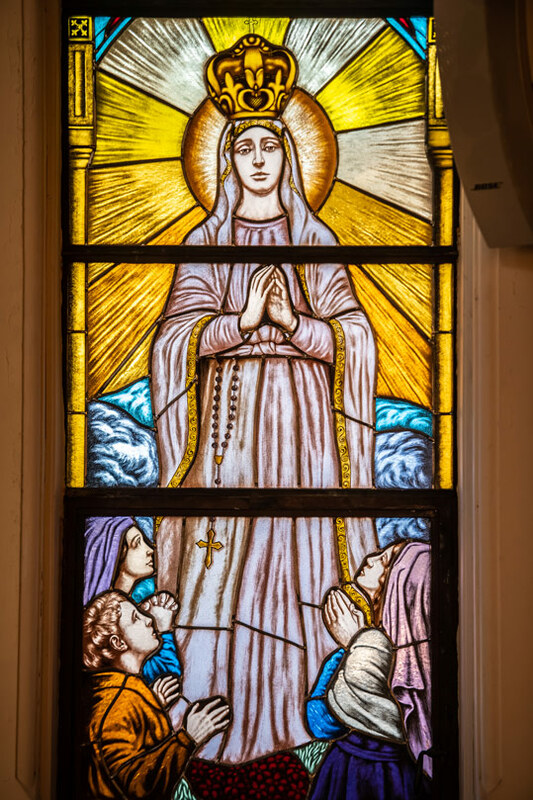 Fr Kopczynski said the image of Our Lady of Fatima was chosen for one window because the 100th anniversary of the apparitions in Portugal coincided with the Parish’s centenary. St Michael also features as the patron of Oceania, and for the Congregation of St Michael the Archangel, of which Fr Kopczynski is a member, who provide pastoral care to the parish. St Mary MacKillop is included as Australia’s first saint and Sts John Paul II and Mother Teresa of Calcutta, as contemporary saints. 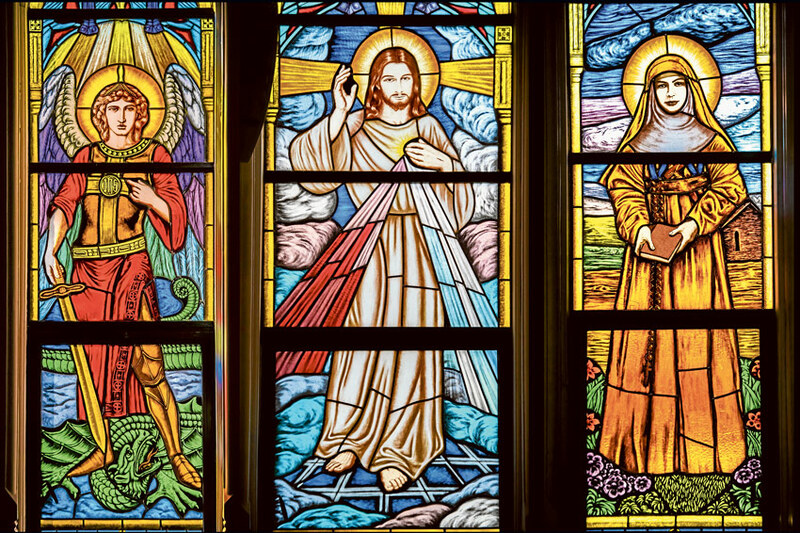 Also featured is the image of Divine Mercy, which originated in Poland, where the Congregation of St Michael the Archangel was founded. The windows were blessed on 1 September in the presence of the parish community. Celebrations for the parish’s centenary began last year, concluding in June this year.